Since Marvin Camel became the first man to win the cruiserweight championship of the world in 1980, only one man has ever fully unified the division: Evander “The Real Deal” Holyfield. When Holyfield relinquished his belts in 1988, the division was stuck in limbo for nearly 20 years, suffering from a string of temporary titlists who, by and large, used cruiserweight as a stepping stone to future efforts in the heavyweight division, the lone exception being O’Neil Bell, who unified the WBA, WBC and IBF belts in 2006. Evander Holyfield was an undisputed cruiser king. 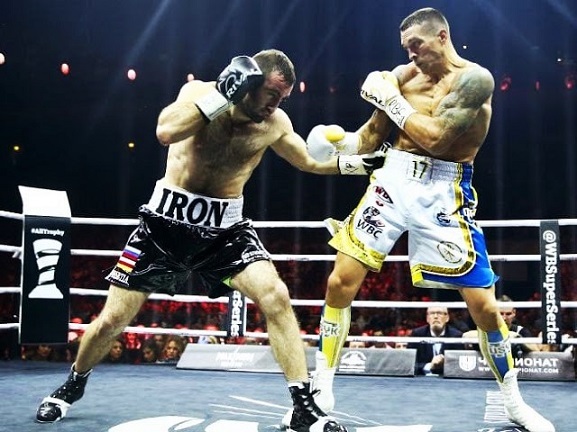 However, when Oleksandr Usyk, aka “The Cat,” and Murat “Iron” Gassiev stepped into the ring to commence the final fight in the WBSS cruiserweight tournament, boxing fans had a rare chance to witness the crowning of an undisputed cruiserweight king. 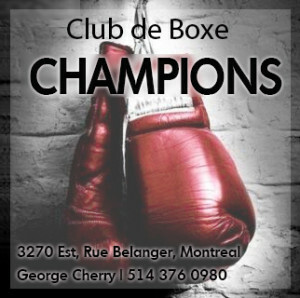 But perhaps more importantly, the brilliance displayed by the likes of Usyk, Gassiev, and Maires Breidis in their recent efforts towards unifying the division has once again put the cruiserweight class back on the map, making it hotter than it has been since Bell’s thrilling 10th round stoppage of Jean-Marc Mormeck back in 2006. 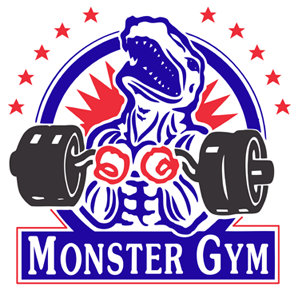 While cruiserweight has seen plenty of talent come and go over the years, most notably with James Toney’s brief stay in lifting the IBF title from Vasiliy Jirov in 2003, the WBSS tournament has been significant in displaying an international array of skill, with an assortment of talent from Cuba to Eastern Europe. But in the end, there can only be two, and Usyk and Gassiev had each battled through stiff competition to earn their place in the final round of the competition. Fans anticipated a dramatic and exciting final showdown as both showed tremendous ability over their respective unbeaten runs. Every now and then one of the most highly anticipated fights in the sport becomes as one-sided as just about no boxing expert could have predicted. Matches in recent history that come to mind are Joe Calzaghe over Jeff Lacy, Winky Wright over Felix Trinidad, and now, Usyk vs Gassiev. 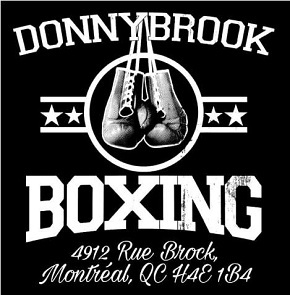 Despite the near shut-out scorecards read by ring announcer David Diamante, the bout was closely contested in the early rounds. Usyk started the match pumping out his stiff jab with regularity, landing cleanly and keeping the hard-punching Russian from being able to get off. 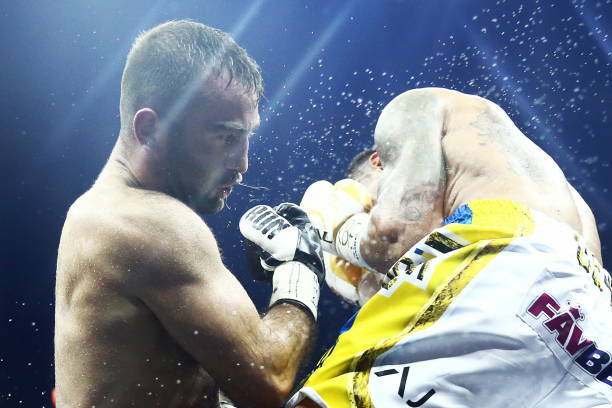 However, the ever-pressing Gassiev was able to connect cleanly with a hard left hook to the body in the second and an overhand right in the fourth, appearing to briefly stun the Ukrainian. Usyk’s jab and higher activity rate was the difference. For a while, it appeared it would be difficult for Usyk to sustain his high-octane pace against Gassiev who was beginning to land more regularly with hard body shots, some of which drifted low. But by the sixth, it was clear Usyk was controlling the pace with his superior footwork and crafty combination punching, and really seizing the opportunity to be the ring general. Gassiev had one last stand in the 11th when he landed two hard rights but Usyk just shook them off, not becoming nearly as stiff-legged as was the case in the early rounds. The Ukrainian proceeded to dominate Gassiev with combination punches in a round in which Gassiev desperately needed to turn the fight around. Instead it was Usyk who threw an impressive 101 punches in the 11th to solidify his dominance. Usyk continued to pour it on in the final stanza, clearly unafraid to take chances despite his obvious points lead. “The Cat” closed the show by throwing 117 punches in the 12th to punctuate a masterful performance in a fight many believed would be his toughest test to date. Fortunately for the boxing world, the judges proved as competent as the combatants, turning in accurate and lopsided scores for the undisputed cruiserweight champion of the world, Oleksandr Usyk. This writer concurred with the final result, having scored ten rounds for the victor, only giving Gassiev rounds three and four. A rare instance of Gassiev putting “The Cat” on the defensive. Oleksandr Usyk not only joined Evander Holyfield in becoming one of two undisputed cruiserweight champions in the last 30 years, he also solidified his stake as one of the best pound-for-pound fighters in the sport. Heading into the WBSS cruiserweight final, Usyk was ranked number eight on the pound-for-pound list of The Transnational Rankings, but with a performance of this caliber, the Ukrainian may soon find himself as high as the top five. In the post-fight interview, “The Cat” expressed interest in facing former WBC cruiserweight champion Tony Bellew, an intriguing match-up considering Bellew’s recent success at heavyweight. In his two wins over David Haye he weighed 213 and 210 pounds, respectively, and thus it’s reasonable to assume Bellew could make it down to the 200 pound limit to challenge the Ukrainian. Beyond that, Usyk’s stated willingness to step up to heavyweight conjures up all kinds of interesting potential matches. Usyk holds aloft the Muhammad Ali Trophy. Usyk certainly has the boxing skills, endurance, and speed to pose problems for any heavyweight boxer. The only question is how he would cope with the punching power of fighters who tower over him, such as Deontay Wilder and Anthony Joshua. Usyk, at 6’3’’, is no physical slouch himself, but the size of the heavyweight division has been steadily increasing, and it will be interesting to see how Usyk might transition as a sub-220 pound heavyweight if he does decide to make the jump. But if Usyk stays at cruiserweight, his management would be hard-pressed to find a credible challenger in future title defenses, especially after his whitewash of the division. While Mairis Briedis gave Usyk a close, competitive scrap earlier this year, Breidis looked less than spectacular on the Usyk-Gassiev undercard in his win over unheralded Brandon Deslaurier in a lackluster 10-round decision. Breidis might present similar problems for Usyk if they were to meet again, but with each fighter’s most recent performances, it would be hard to imagine there being the same amount of interest as there was when the two battled in the WBSS semi-final. 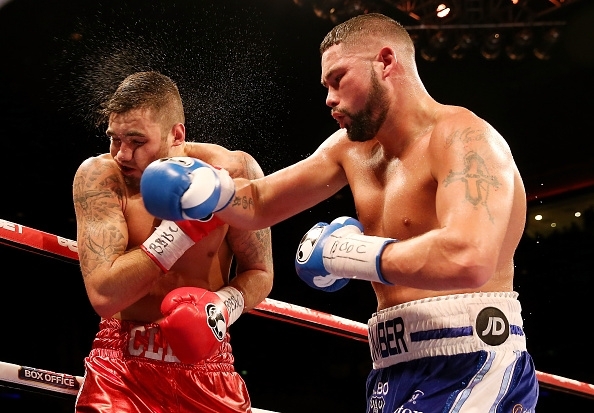 Is Tony Bellew in Usyk’s future? Usyk on the pound for pound list ? Really ? He lacks punching power, because he does not know how to sit on his punches, which also prevents him from making any significant body shots. He is too much on his toes. How he can be compared to Holyfield is a mystery. By that rationale, Winky Wright shouldn’t have been near the top of the P4P list in 2005 as well, but he was as high as #2 on most expert lists after he schooled Tito. Don’t see how being a light puncher hurts your chances at being a P4Per. If anything, to me it helps make the case that you are an elite if you can find such success without natural power as you are forced to rely on more skill and athleticism, as Usyk does. 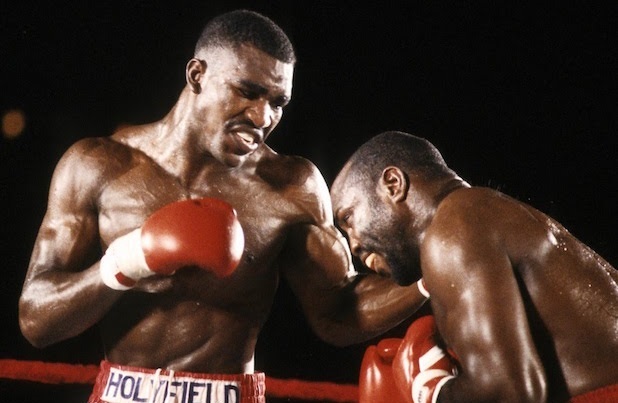 As for the Holyfield comparison, while it is true that Usyk doesn’t have anywhere near the punching power of Evander, it is important to note that Holyfield was also “too much on his toes”, constantly bouncing around to keep a rhythm as he set up his offense. Usyk is also a rhythm fighter, and he punches in multi-punch combinations much the same way as Evander did back in the late 80s.